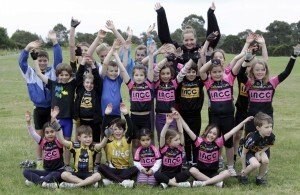 One of the things you will have learned if you’ve read other parts of this blog is that I’m a member of a great cycle club called Lidcombe Auburn Cycle Club known as LACC. A new innovation for the club is its focus on junior riders or more specifically its junior female riders under the stewardship of the very enthusiastic Gay Chandler and her trusty husband and sidekick Ian Watson. I caught up with Gay recently and asked her a few questions about the team she’s nurturing known as the Pixies. Q: When did the Pixies team start? A: The LACC Pixies are now a year old and this winter will be the second year of road racing. Q: Whose idea was the team? A: It came from what I could see was a need to have something to attract more young girls and women into cycling as their sport. Q: Why are concentrating only on girls? 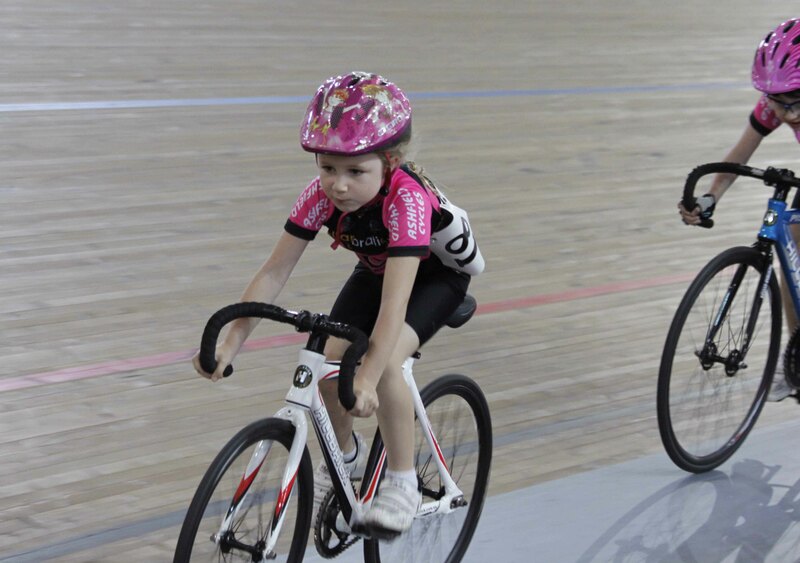 A: The club had a handful of boys riding and racing but only three girls training and they were reluctant to race. I also noted that when a boy wanted to race the Dads went out and got a bike and got them into it. 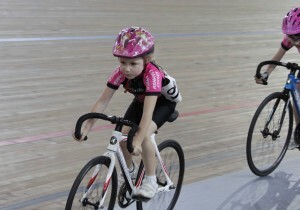 However their daughters never got the same input or encouragement and so the idea of having bikes for the girls to give them a go and get them into the sport emerged as part of the team purpose. This meant that the LACC Pixies would be seen as a development team. Q: How many girls are in the group? Do they have to sign up? A: The team can cater for up to 20 girls however we have only got bikes for 11 children and focuses on the younger age groups from four to around 12. If they are on a full size frame they need to supply their own bike. There is a contract that they sign and this binds them to regular training and four events a year. Q: I’ve heard you have received some grants for funding. Can you briefly outline this? A: The team has several sponsors specific to the Pixies. They are generously supported by Dooley’s Catholic Club, NetRegistry and Chemika. We are keen to get others involved with the girls and would like to be able to supply team helmets, glasses, socks etc which is currently out of our scope. A: LOTS. At the track metro a couple of weekends ago we bagged 16 medals – a clean sweep in U9 girls and U11 girls, a bronze in U13, and Gold and Silver in U15s. On the road we also have seen lots of places in tours and last year the girls featured in all divisions at States. Q: Have you received any criticism from parents within the club who only have junior boys? A: Some feel left out wanting a name and identity and this will be given to the boys. However we are all one club and travel together and stay together and the boys never complain at having a group of girls on the sidelines cheering when they race. Q: You seem very passionate about nurturing these young girls. Where does your interest in cycling come from? A: I have a philosophical belief in sport for children and in all juniors getting access to good coaching. It is so much better for juniors to learn biomechanically sound skills that help them progress quicker. In cycling there is a idea that coaches progress with the athlete and as a trained professional I believe that is the wrong approach. My passion is juniors and I am good at it so I believe it is better to have good coaches working with the ages they enjoy and years of great development rather than one coach for life trying to understand all the needs and stages. It was my son that originally got me into cycling on road and MTB, I just got sick of standing around at training so started riding at 34 years of age and over the next few year bagged a box full of medals in NZ and South Pacific games on the road and in my favourite event the 40k time trial. Somehow the passion for coaching and cycling just stayed with me and so now I spend more hours at the track and on a road side than on my bike. I still love a Sunday ride and compete at club level in MTB. All last year I wanted to get up to Calga to do a time trial but never quite got there. I was just too busy with juniors and a full time job in the Sport Commission. I also still have a few teenage kids at home and am now a proud grandmother of three lovely boys so life is quite full. A: To keep growing and supporting Pixies and Junior boys. This week we had our first Pixies selected to join the Racing Kangaroos so we are on our way with generating the heroes of tomorrow Green Edge team right here at LACC. The only thing I want to see now is the same ground swell in other clubs supporting and growing juniors from the U9s up. It is never too young to start training and racing and we need to get the passion in our kids before they join school soccer or netball teams. There is no sport like cycling for kids, it is great and the team and family experience they get at LACC means they really do not need any other sport experience. It is a great place to learn challenge yourself and make fabulous friends. And the lovely pink uniform is a hit! Good article Nic. Keira is my favourite pixie too!